It's easy if you know where to look. Updated September 6, 2017 to reflect the latest iPad models. You might think you know which iPad you have. The new one. The big one. The rose gold one. The mini. But when you need to know exactly which model you have, or better yet, which generation, it can get a little trickier. You don't have to be an Apple Store Genius to figure it out, though you do have to know where to look... and what to look for. 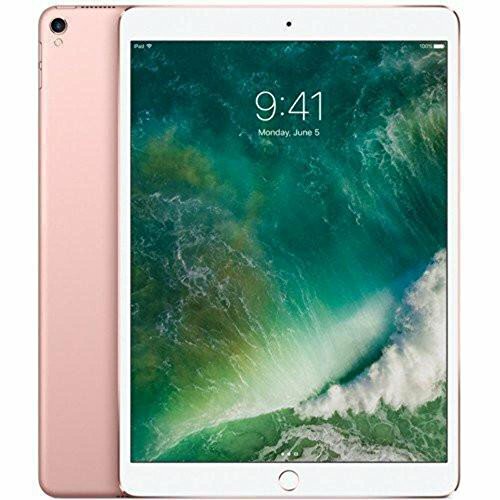 iPads aren't as easily distinguishable as iPhones are, so even if you know the size, we can help you tell whether it's an iPad, iPad Air, or iPad Pro. For all the details on current models, be sure to check out Macworld's comprehensive iPad buying guide. In addition to the marketing names that we all know so well, all iPads have a model number. Two of them, actually. The first one is on the device itself. If you flip over your iPad, you'll see a bunch of tiny writing below the word "iPad." That's where you'll find the model number. 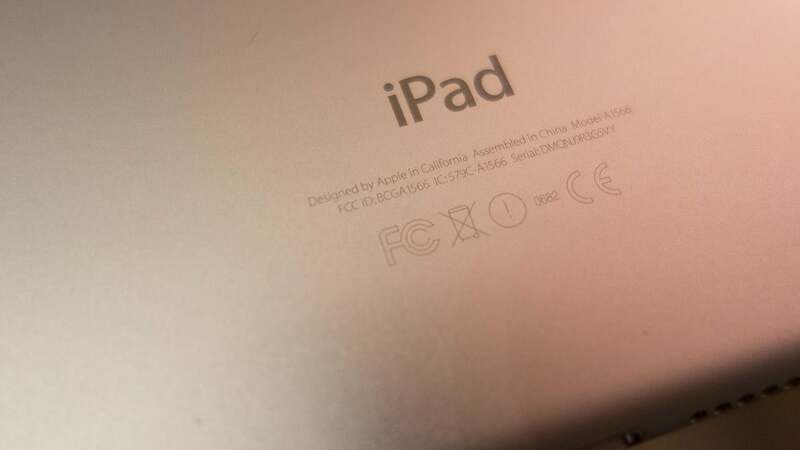 Look closely at the fine print on the back, and you'll find your iPad's model number and serial number. At the end of the top row, you'll find the world "Model," followed by an "A" and a four-digit string of numbers. The number string tells you what screen size and generation of iPad you have, as well as whether it's cellular-equipped. For example, the latest 10.5-inch iPad Pro is A1701 for the Wi-Fi model and A1709 for the LTE version.) There is also a serial number printed here, but it's unlikely you'll ever need it. In addition, some cellular-equipped fourth-generation iPads and first-generation iPad minis have an "MM" version indicating CDMA compatibility—though you'll see that designation only on spec sheets. 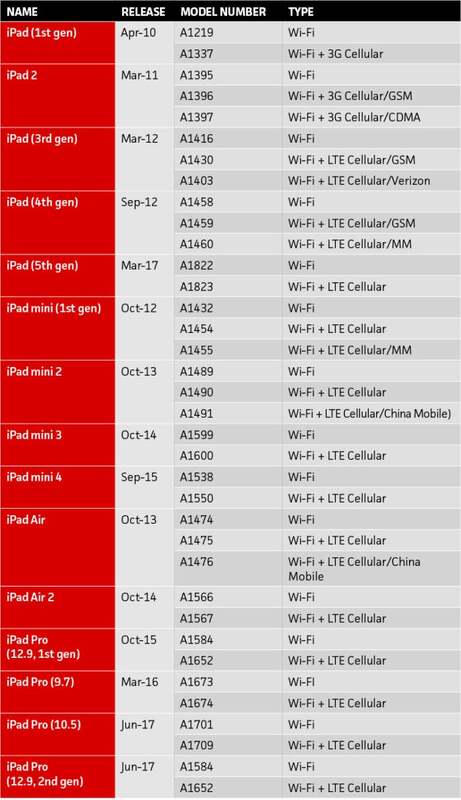 If you use one of these iPads on Verizon's network, the MM version is probably the one you've got. You'll also find a model number in Settings. The number outlined in red here means I have an U.S. iPad Air 2 with 64GB of storage. 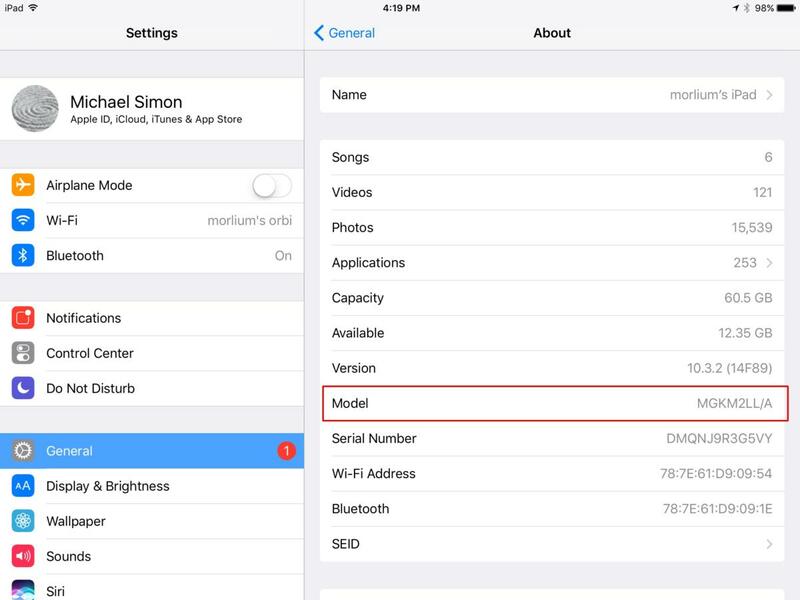 The second model number (which is really an internal SKU number) is in Settings. If you tap General and then About, you'll see a Model tab that lists a completely different number than the one on the rear of the device. 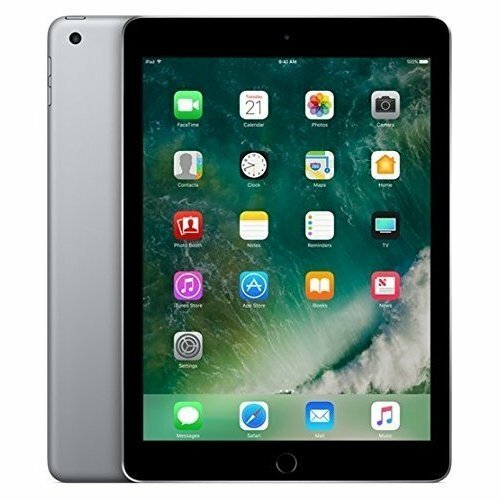 This is a much more specific identifier, which provides information about the capacity and country, as well as the type of iPad. If you're selling or buying one internationally on eBay, it's an important number, but otherwise the number on the back will tell you everything you need to know. This article originally posted September 27, 2013. 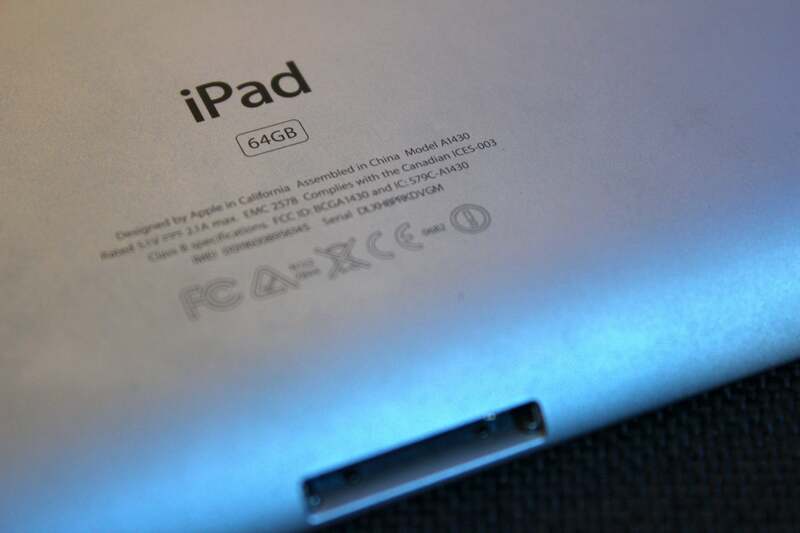 This story, "How to tell which iPad model you have" was originally published by TechHive.